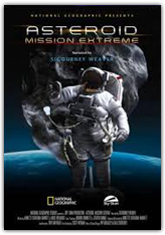 See the film on your choice during your field trip or group visit, including One World, One Sky: Big Bird's Adventure, Wildest Weather in the Solar System, Jr. Star Safari and several others from COSI’s library of award-winning planetarium documentaries. Teacher’s Choice shows can be booked to start anytime between 9:00am-10:00am daily. Tickets are $4 per person with COSI general admission. Group size minimum is 12. Two weeks advanced reservations required. Please note that once a film has been selected for a given date other groups are welcome to book into that film and individual walk-up tickets will also be available at COSI’s Box Office. 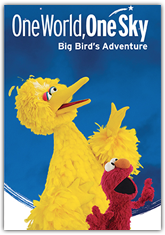 One World, One Sky: Big Bird's Adventure: Explore the night sky with your favorite friends from Sesame Street! Follow along with Big Bird, Elmo and their friend from China, Hu Hu Zhu, as they take you on a journey of discovery to learn about the Big Dipper, the North Star, the Sun and the Moon. 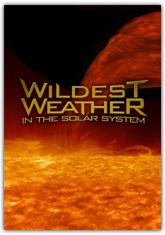 Take a spectacular journey to witness the most beautiful, powerful, and mysterious weather phenomena in the solar system. From a storm the size of a 100-megaton hydrogen bomb, to a 400-year-old hurricane, to a dust tempest that could engulf entire planets, you'll be glad you live on Earth! Fly through the thick atmosphere of Venus, magnetic storms on the sun, liquid methane showers on Titan, and anticyclones whirling at hundreds of miles per hour on Jupiter. 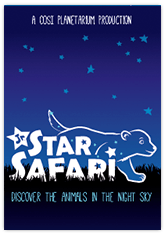 Discover the animals in the night sky. 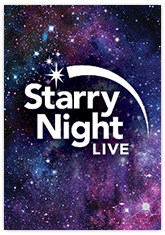 Families with young children will enjoy this engaging and interactive live astronomy show, led by a COSI Star Safari Guide along with the help of Orion, our master scout, to find animals in the night sky. This show created by COSI especially for early learners, features beautiful animal drawings, real-animal footage from The Columbus Zoo and a tour of the night sky across COSI’s 60-foot dome. No need to be quiet on this safari, the animals won’t mind a few oohs, aaahs and shout-outs from the audience as they discover the beauty and wonder of the stars. 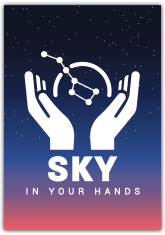 Treat your sense of sight, sound, and even touch to an incredible journey through the constellations. Experience the cosmos both projected above you on the planetarium dome and at your fingertips on a personally sized three-dimensional model. This is a planetarium show unlike any you’ve ever felt before. This live show explores what can be seen in the sky tonight in central Ohio. Discover the current stars, constellations, planets, and deep sky objects that fill the starry night.